We are a 50 place Nursery offering childcare for children 6weeks to 5years. We have 3 base rooms and a wonderful outside area with plenty of space for the children to explore no matter what the weather. We have an always welcome policy, so no appointments needed. 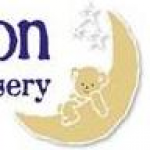 Just pop along and see what Paper Moon has to offer your family. Below are the latest reviews for DoddoPM. Please note that reviews represent the subjective opinions of other Childcare.co.uk users and not of Childcare.co.uk. Parents must carry out their own checks and references on childcare providers to ensure that they are completely happy before enaging in the use of their services. Such a wonderful nursery! My son is currently going here and all of the staff are amazing! Couldn’t ask for better people to care for my child. Will also be sending my daughter here in January once she turns 2. They are so helpful and answer every single question I ask!